Awesome work there Karl on the effect on square fixes. I put that together quickly, but never full fleshed it out. Sounds impressive and should be fun to try it out in game. It worked very well right from the start, so it was easy to polish the rest . The spell will always target the square the pc/cretaure is on whose current turn it is. Parms leave no room for customized log text unfortunately, but maybe I can automate that like: like "pc" triggered "name of spell". I have the feeling this will be tricky to get right, but then again this has the potential to add a whole new tactical layer to battles. Like with the lingering effect casts (eg flame walls, poison louds) please keep in mind here to that our AI is very strightforward. Players can lure the AI into very bad positions. Then again it should be fun for players to do so if enncounters are balanced with this AI flaw in mind. The triggers(encounter) can easily be connected with a gcPassSkillCheck, so maybe certain pc can avoid negative effects (eg skillfully tumbling through a trapped area) and some positive effects might only be available for certain other characters (eg pray at a statue for replenishing some spell points). GcPassSkillCheck will likely need an additional parm for choosing the pc whose turn it is (or simply "leader" works that way in combat). I know I had a test module with an encounter for testing that had trap squares (some that only worked on PCs and some that only worked on creatures) with visible images and hidden images I think. I also had a stinking cloud spell for testing casting spells on squares. Hehe, I know that feeling oh to well . At least your code is structured very clearly which makes getting back to it (and understanding it on first contact) much easier - when I find my own forgotten code the real trouble starts . Indeed, I found all of this. Where I miserably fumbled was remembering/recognizing soon enough that props already can be triggered in combat, too, and also detecting the spell script you already made for application from triggers and prop triggers in encounters. Still having headache time here. One main problem is that creatures can be killed during their own turn now. Furthermore, other creatures can be killed in another creature's turn, too, now. All of this not just at the start of a turn, but after each move potentially (eg just think of mine field like squares that make the whole area around them explode). This has effects on the order of creatures acting and therewith eg on recognizing next creature to act. I am currently toying with various solution approaches to this. Trouble is though that it is very easy to introduce new bugs while doing so. Ohwell, no one said that this was gonna be easy . Bug by bug, I am crawling forward. 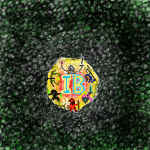 It will be worth it for certain, but I would be lying if I would say this my favourite time of IB development, harf ! Almost there . Last few battles were bug free and functionality I aimed for is almost completely in (minus some stuff concerning graphics for triggers as well as "off" graphics for triggers as well as props; these will come later, the wait has been long enough).